In the video above, Villa Maria Winemaker Josh Hammond shares an amusing story about his quest to pair ever more fresh scallops with his wines when diving for them with his brother. Click on the arrow to play the video. 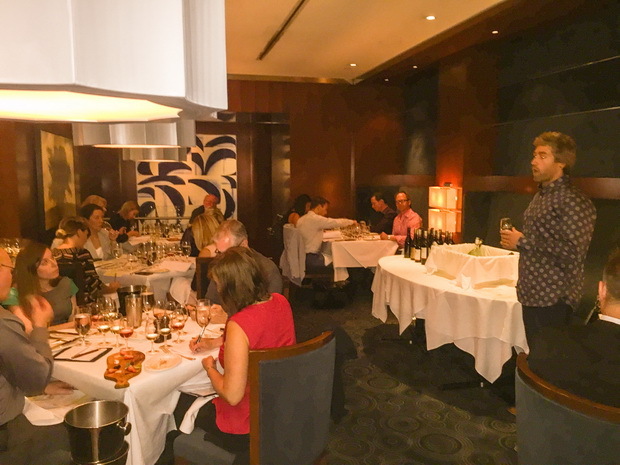 Canada’s top wine writers and sommeliers gathered in our nation’s capital for an extraordinary tasting of New Zealand’s Villa Maria wines recently at The Shore Club. They share their insights and recommendations here. Gracing us with his knowledge and passion for wine, along with a great sense of humor, fifth generation winemaker, Josh Hammond spent an afternoon with a privileged group of us at Ottawa’s Shore Club, sharing a lovely collection of his award-winning wines from Villa Maria, in Marlborough, New Zealand. I was fascinated to find out that Josh’s path first led him to degrees in law and chemistry, but something drew him back to the vineyard. He decided to complete his studies in oenology resulting in his newly appointed position as Production Winemaker at Villa Maria, New Zealand’s most awarded winery. While we were served our lovely three-course meal, Josh explained the history of the winery, the climate and weather patterns that influenced the vintages we were about to enjoy. At the tender age of 21, founder George Fistonich purchased five acres of land from his father where he planted just one acre of vines. 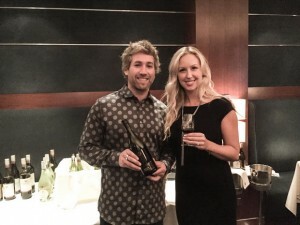 With his wife, George introduced their first vintage a year later. Calling their winery Villa Maria, they often got asked who this “Maria” was. Simply put, Villa Maria sounded exotic, and from that day, a New Zealand legacy began. New Zealand, which is world renowned for its Sauvignon Blanc and Pinot Noir varietals, along with Pinot Gris and many others, continues to provide exceptional vintages by being blessed with the ideal terroir, climate and passionate winemakers. Large diurnal shifts in temperature are key in helping with the precise ripening of the fruit. Marlborough, being split into two valleys, is the perfect location for grape growing. 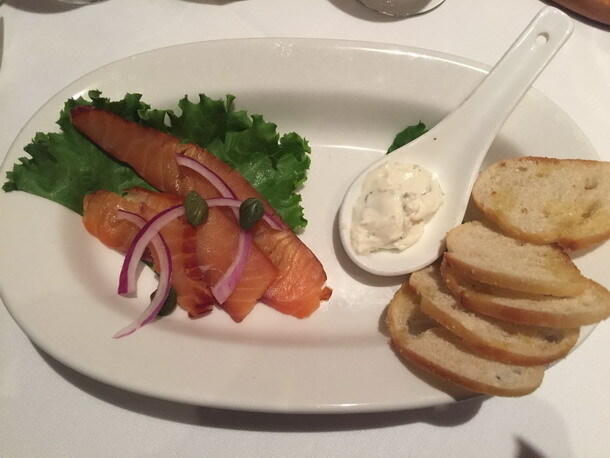 Course number one included apple cider smoked salmon with dill cream cheese. We tried four different Sauvignon Blanc styles to pair with this dish. The most iconic of the four was the first wine – a lightly sparkling Sauvignon Blanc. The ever so slight presence of bubbles was the perfect palate cleanser, and cut through the fat of the fish and the cream cheese. The best pairing with this dish for me was the Southern Clay’s Single Vineyard Sauvignon Blanc 2014. The second course brought with it grilled chicken saytay with a spicy mayo. The beautiful muted peach colour, aroma and flavours of the two Pinot Gris wines with their stone fruit and crisp acidity added a new layer to the meal. The 2015 Private Bin Rose, however, was a real winner with this dish and would also pair extremely well with the first course or on its own on a hot summer day. Boasting lots of strawberry and raspberry fruit with a crisp, dry finish, this rose should be added to any wine collector’s summer wish list. 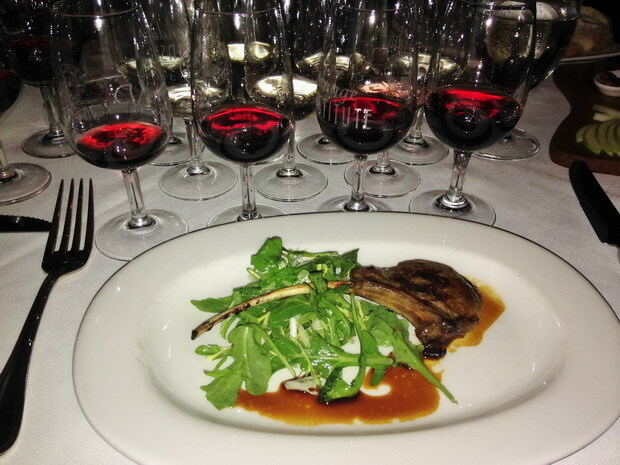 The third and final course, a succulent lamb chop with Rosemary Port Jus was perfectly prepared and the pairing and wine of the day included the gorgeous 2012 Southern Clay, Single Vineyard Pinot Noir. Vines growing in the moisture-rich clay of this region benefit from a slow warming up during the day and a rapid cooling down and night. The vines grown in this soil bring forth fruit with vibrant acidity, cherry, earth and spicy toasty notes. Although this vintage is not available at the LCBO, I would highly recommend anyone visiting the Marlborough region to pick up a bottle and stop by Villa Maria to say hello to Josh and his splendid team. A collective “sigh” emanated from our group of wine writers as Villa Maria winemaker Josh Hammond informed us that the Single Vineyard Southern Clays Pinot Noir 2012 we were tasting was not available in Ontario–or Canada! We would have to visit him in New Zealand to get our hands on this gorgeous Pinot Noir he brought to our lunch at Shore Club Ottawa as a teaser: An elegant array of red and blackberries, earthiness, pepper, violets, fresh acidity and some chalky tannins. Josh suggested this wine has a cellar potential of 8-10 years. Definitely the star of the fall winemaker lunch featuring Villa Maria New Zealand wines. Villa Maria Estate is located in the Marlborough region at the northeastern tip of New Zealand’s South Island. Although noted as having cool climate viniculture, Marlborough is blessed with a great variation in diurnal range. Long warm days coupled with cool nights makes optimal fruit that holds its acidity. The above mentioned Pinot Noir had lovely layers of fruit with concentrated flavours and bright refreshing acidity that gave the wine structure and balance. Perfection. We tasted four Sauvignon Blancs during our lunch with the added preview of a “fun” Lightly Sparkling Sauvignon Blanc that will be released at the LCBO in the next three weeks. Once again, the stand out was the Single Vineyard Southern Clays Sauvignon Blanc 2014–and “sigh” not available in Canada. Notes of tropical fruit, wild thyme and herbs, flinty, wet stone, elegant, and racy acidity. Not catty or green. Drinking Sauvignon Blanc this good makes me wonder why I don’t drink more Sauvignon Blanc. Why did I come away with after this luncheon? I admire the passion of the winemaker. With each wine there is a story and a history that goes into each bottle. I also came to the conclusion that some wines just might be worth the trip to the Southern Hemisphere. 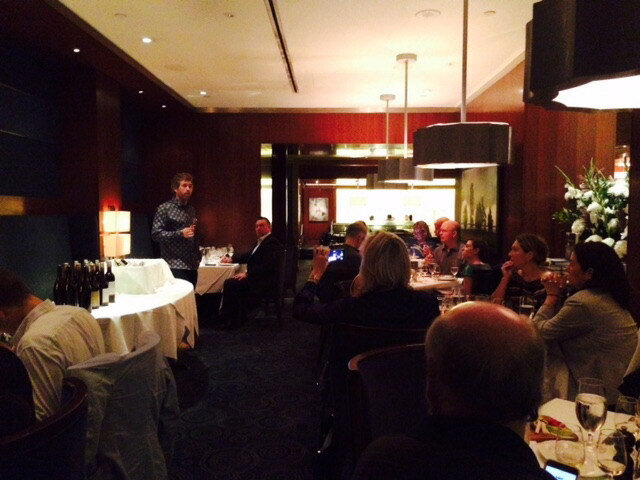 John Hammond sharing with us the story behind the winery label. At a recent tasting under the tutelage of Villa Maria’s winemaker, Josh Hammond, part of the extensive portfolio of wines was offered, along with delightful delicacies presented by the Shore Club. The main focus of the day was on Marlborough’s iconic Sauvignon Blanc and Pinot Noir bottlings and having been to the Villa Maria cellar door near Blenheim, memories came flooding back of that wonderful viticultural region. The Marlborough area at the northern tip of New Zealand’s south island is one of the sunniest and driest regions in the country. It sits at the ocean’s doorstep nestled in the Wairau Valley which the Maori people originally called “Kei puta te Wairau” or “The place with the hole in the cloud”. The Wairau River now flows along the northern side of the valley, but its ancient origins left a winemaking legacy through the soil it deposited there. A pivotal key to Marlborough’s success is its free-draining stony soils. A sandy loam lies atop very deep gravels and the variances seen throughout the region along with the diurnal temperature changes account for significant differences in varietal character. The Rapaura section has mainly stony lands and the minerality expressed here is distinct as is the tendency to bring out more of the tropical characteristics of Sauvignon Blanc. Clay becomes more prevalent moving southwards and this has been critical to the success of Pinot Noir production. Just around the corner of the mountain range, the Marlborough district encompasses the Awatere valley. A narrow strip of land closer to the sea, the soils here are gravelly silt-loams but the major determinant of wine character is the cool breeze from the perpetually snow-capped peaks from whence the cooling winds originate. Such a combination of temperature and topography yields a more citrus profile to the wines from here. The art of blending what is produced in the Wairau and Awatere makes Villa Maria outstanding. Depending upon the winemaker’s desired expression, the bottlings can feature a more tropical and melon profile or a lime and grapefruit character. The range of offerings from Villa Maria certainly covers the spectrum and gives everyone an opportunity to find something that fits their own preference. 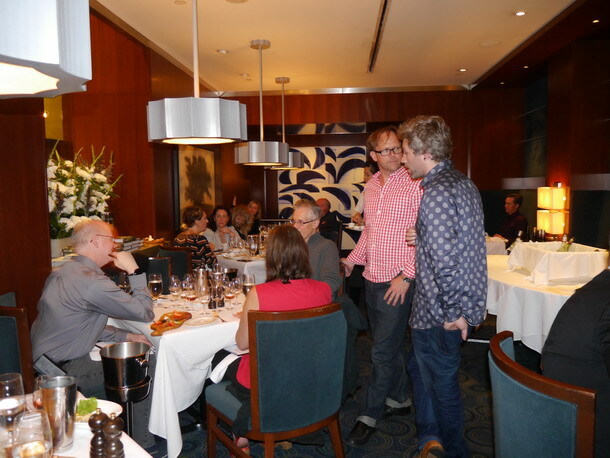 I recently enjoyed another terrific wine and food pairing experience at one of my favourite restaurants in downtown Ottawa, The Shore Club at the Westin hotel. The highlight, in addition to the wonderful food and wine, was spending a couple hours learning about Villa Maria’s rich wine producing history from their production winemaker, Josh Hammond. Villa Maria is New Zealand’s most awarded winery, and has been for some 30 years. Started in 1961 by founder George Fistonich, Villa Maria has been producing high quality New Zealand wines for over five decades and it’s clear they’re committed to earning that prestigious title with every delicious vintage. 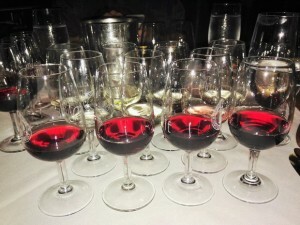 Josh walked the group of Ottawa-based sommeliers and wine writers thr ough a structured tasting of a few of their tiers of wines, starting with their Private Bin series, into their Cellar Selection series, and finally their iconic Single Vineyard wines. Of course, their Sauvignon Blanc’s and Pinot’s were terrific. I’m a huge fan of New Zealand Sauvignon Blanc as I find it’s super versatile, expressive, and pairs beautifully with Asian cuisine, in addition to any dish with creamy goat cheese. Their Pinots were great too, and of course, paired wonderfully with the grilled lamb chops with rosemary port jus that the chef served us with our flight of three tasty Pinots. Josh poured a relatively new product for us, their “Lightly Sparkling Sauvignon Blanc”, now in their 3rd vintage of it, it was the first time I had the pleasure to taste it (where has it been all my life!). Lightly Sparkling SB had a creamy and refreshing mousse that takes the super versatile food pairing Sauvignon Blanc to a another level of food-friendly. Planned to be released in LCBO in fall 2015, keep your eyes peeled for what’s sure to be a huge hit in the Ottawa market. Guaranteed we’ll be seeing more wineries following this trend in the years to come, and by then progressive Villa Maria will likely be starting the next trend. If you haven’t enjoyed some Villa Maria wines in a while, or ever, I’d strongly recommend picking up their affordable Private Bin Sauvignon Blanc and enjoying it tonight with your favourite salad or seafood. After one sip you’ll understand why Villa Maria enjoys the title of New Zealand’s most awarded winery. In his early twenties from just an acre of vines in the early 1960’s, George Fistonich harvested his first grapes and made his first wine under the label Villa Maria, with his wife Gail supporting him all the way. All through the 1960’s he worked on his own and didn’t start to hire help until a decade later, building Villa Maria into New Zealand’s most awarded winery, employing more than 250 staff and exporting their wines all over the world. George is one of the pioneers of New Zealand’s wine industry along several of his countryman who settled in New Zealand after leaving their home on the sunny island on Croatian Dalmatian coast. Known for his pioneering ways, he took a huge gamble with his decision to put all of his wines under a screwcap. Today, most New Zealanders don’t even own a corkscrew. 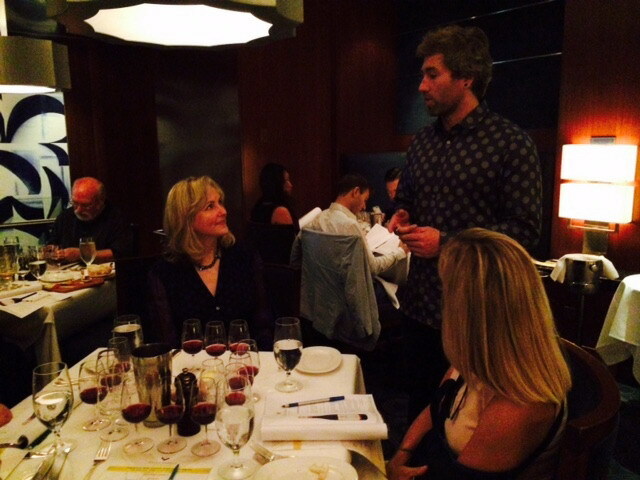 It was my great pleasure to attend Villa Maria’s tasting and meet their young and talented winemaker Josh Hammond. 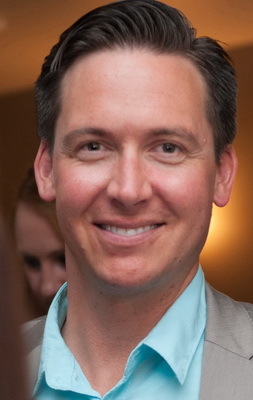 His law studies took him to Europe on a six month exchange program which spark his interest for all things wine. 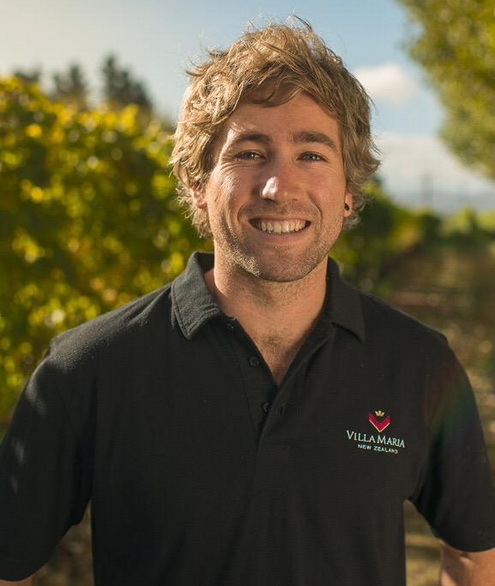 He returned to NZ and after completing his Oenology & Viticulture studies he join the winemaking team at Villa Maria in 2013, crafting their excellent award-winning wines. What better way to spend a rainy, damp, fall afternoon than enjoying some New Zealand sunshine in a glass. It was a great privilege to be able to attend a Villa Maria lunch with Marlborough winemaker Josh Hammond. Josh brought his energy and enthusiasm across the world to our tasting at the Shore Club in Ottawa to showcase some fantastic wines primarily from the Marlborough region in New Zealand. Josh provided some history starting from the humble beginnings of family owned Villa Maria to present day. This included the founder, Sir George Fistonich, in his twenties, selling bottles at the end of the driveway, to the current shift towards environmental sustainab ility. During a one-on-one chat with Josh, a relatively young winemaker for the Marlborough region, I asked how he thought he might be able to leave his mark or legacy at the winery. His enthusiasm was apparent in the answer. It can be a tough balance between wanting to create your own style, while also not wanting to expose risk to what is currently working – as the saying goes, if it’s not broken, why try to fix it. However, in the world of wine, the consumer can be fickle, always looking for something new or different and trending. As an example, I think the recent introduction of the lightly sparkling Sauv Blanc is one of those trends that will gain traction. While not having free reign over all aspects of wine making in his region, Josh explained that there is a great support for experimentation. An example may be taking fruit from the same vineyard and using different strains of yeast, or vinification techniques on two batches to see if one is superior. Often the two batches may be blended in with the entire vintage or if something truly unique stands out, several cases may be bottled and sold as R&D wines locally and exclusively at the cellar. If ever you needed one more reason to visit the winery in person, this may just be the one. It is now on my list. When I savoured Villa Maria wines from New Zealand for the first time, at a tasting with winemaker Josh Hammond this week, the quality of the distinct terroir of the vineyards and the superior quality of the viticulture and winemaking practices were evident. And I wondered why I hadn’t paid more attention to New Zealand wine in general and Villa Maria in particular! Villa Maria has had time to perfect its craft: the winery was founded in 1961 by Sir George Fistonich, originally from Croatia; it has vineyards in four wine regions in New Zealand; and encourages innovation among its winemakers through a research and development program. The results are notable. Villa Maria has been the most awarded winery in the country for decades. The particular terroir in each region and sub-region provide grapes for Villa Maria’s blends or single vineyard estate wines. In Ontario, consumers can purchase the winery’s two styles of Sauvignon Blanc, two Pinot Noir (private Bin and Cellar Selection) and a delicious Merlot/Cabernet Sauvignon blend. The winery produces many more varietals, including two Alsatian style Pinot Gris from different vineyards. In an effort to increase its sustainability practices the winery decided to use only screw caps in 2001 and now 20% of its vineyards use organic viticultural practices. I’m looking forward to enjoying to pairing the fruit forward Private Bin Sauvignon Blanc and the Cellar Selection Pinot Noir with my Thanksgiving menu. Winemaker Josh Hammond led our tasting team through the history of Villa Maria and an award-winning tasting of Villa Maria’s Ontario product offering as well as a few gems which are not yet available. Arriving in New Zealand in 1926 from Croatia, the family of the founding father of the Villa Maria winery set foot on land which unbeknownst to him would become fertile ground for New Zealand’s most awarded winery. 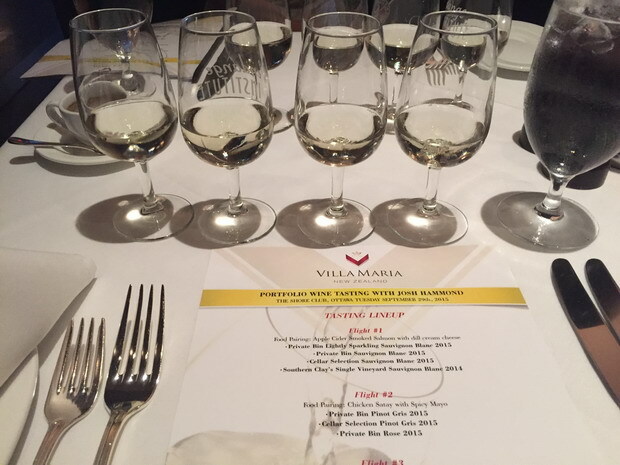 Learning that Villa Maria wines were formed in 1961 when the New Zealand wine industry was in its infancy and since 1963, Villa Maria has been awarded an impressive roster of domestic and international wine awards. Sourcing from a family who seldom had holidays, Villa Maria has become a cornerstone of holiday celebrations and with quality wine. Tasting the wine, it’s clear that quality is important to Villa Maria. Mr. Hammond explained his appreciation for how he and the Villa Maria team strive for quality of the wine with ensuring quality grapes. Having built a wine business in what used to be a land of beer, preserving a sustainable business has been key. Mr. Hammond portrayed a Villa Maria which strives for quality and sustainability, in an interlaced co-existence. 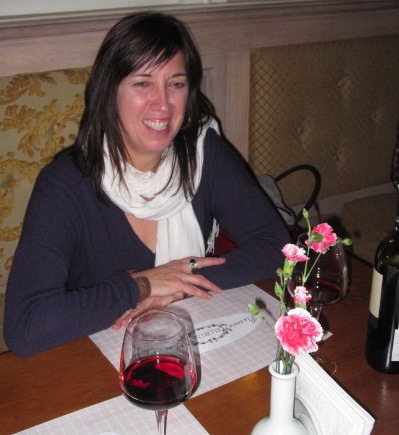 Sustainable business practices are close to heart to the owner and founder of Villa Maria. We grew to understand that minimizing the impact of operations, continually improving and protecting resources for the next generations are core principles to Villa Maria. Villa Maria is recognized as a New Zealand sustainable winegrower, certified organic “bio gro” New Zealand certification, “certified emissions measurement and reduction scheme” and “ISO 14001” environmental management system certification. Villa Maria offers quality and value in their portfolio including Private Bin, Cellar selection, Reserve and Single Vineyard wines. I look forward to visiting the land from which this wine is grown. For now, New Zealand in a glass will be where I hang my hat. It’s always a real treat to experience a tutored tasting with the actual winemaker, as was the case with our intimate mid-day tasting with Josh Hammond of Villa Maria Winery, at The Shore Club Westin Ottawa. 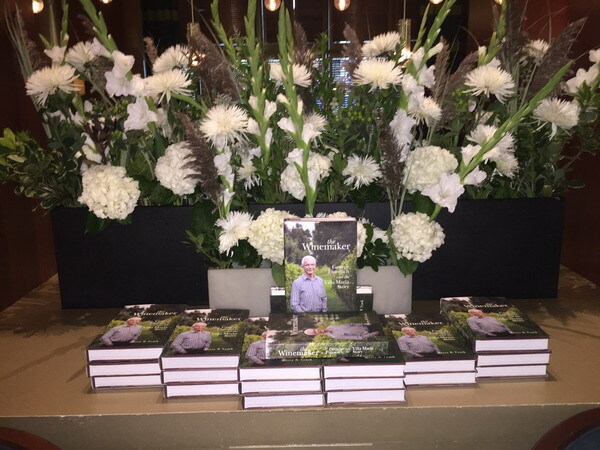 I felt doubly blessed, however to have not only sampled many exceptional wines with this the wine master, but two in particular that stand out among the rest for me – both of which were born out of the Southern Clays region of Marlborough. The first notable wine, with only a few bottles left at the LCBO, was the Villa Maria Southern Clays Sauvignon Blanc 2014. Of all the Sauvignon Blanc we tried, this was my favourite. A delicious expression of SB, heady floral and starfruit aromas combine with a minerality that is distinctly Marlborough Sauvignon Blanc – done to perfection! Fruit flavours that keep giving and enough persistent acidity to be enjoyed with creamy dishes. The second notable wine, (that sadly is not available at the LCBO at all, but worthy of a special field trip to New Zealand! ), was the Villa Maria Southern Clays Vineyard Pinot Noir 2012. Hands down, this one took the cake for me. Complex floral and ripe red berries in both glass and mouth, with lasting flavours sip after sip. It paired perfectly with the lamb dish. The clay soil in the Southern Clays region of Marlborough is magical. Throughout the cool nights, the clay soil retains heat from the warm days (versus the quick to heat up stones from surrounding regions), providing a consistent growing environment for the vines. This helps extend the ripening time of the grapes, and imparts complex notes from the very first to the very last sip. Congratulations Villa Maria and Josh Hammond on creating a set of beautifully distinct New Zealand wines for the world to enjoy! It’s always nice to hear about how wineries started in various regions of the worlds. Just because New Zealand is not ‘old world’ doesn’t mean that there isn’t an interesting history behind some of its wineries (and winemakers). Learning about how the winery fought through changing tastes, competition, and the learning process of creating great wine in a new world setting adds a bit of richness to the experience. I’m quite excited to learn more about the history of Villa Maria from “The Winemaker” book about George Fistonich. The food pairings at this tasting were quite nicely done, with very nice presentation. 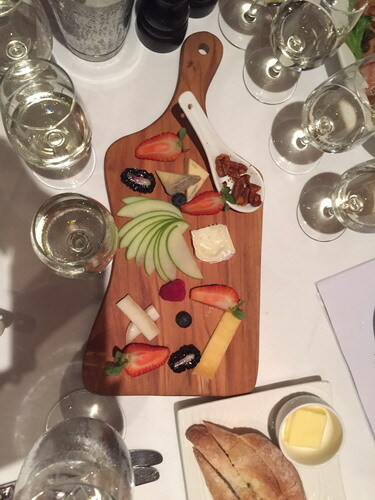 My favourites of the session were the cheese and fruit platter brought out at the beginning with the sparkling Sauvignon Blanc, and the lamb chops with the reds, especially the two Pinot Noirs. 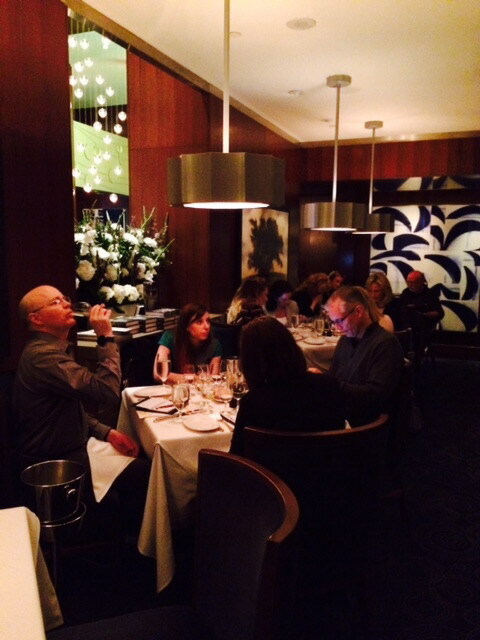 The food presentation was clean and simple, and the pairings showed off the best of both the food and the wine. I was surprised at how good the lightly sparkling Sauvignon Blanc was. I’m not normally a big fan of sparkling wine but this one retained the character of a Sauvignon Blanc while having the addition of a little bit of refreshing sparkle. Learning how they added the CO2 at the end was interesting and shows how they care about how the wine tastes before adding the carbonation. I really enjoyed the lamb paired with the Southern Clays Pinot Noir. This wine had such powerful dark fruit flavour that it matched the intensity of the lamb very well. I’m disappointed that we can’t purchase this wine at the LCBO! It was a great privilege to be able to attend the Villa Maria wine tasting. The wine we sampled included flights of both red and white wine. Flight one featured Sauvignon Blanc and all were impressive with crisp citrus flavors supplemented by herb and vegetal flavors. The Single Vineyard Southern Clays Sauvignon Blanc stood out for me with its grapefruit, lime and mineral flavors. The first flight reminded me how good New Zealand Sauvignon Blanc can be. Flight two featured Pinot Gris, always a favorite grape of mine. The Cellar Selection Pinot Gris stood out for me with its floral scent and citrus, stonefruit and cinnamon flavors. The Pinot Noir in flight three offered good variety. What I liked about the Pinot Noir was the way they balanced black and red fruit flavor with a subtle touch of spice or earthiness. It was a pleasure to meet Josh Hammond, whose love for winemaking was clearly evident in his knowledge of the craft and of the Villa Maria story. The most surprising information I learned was the story of Sir George Fistonich. The dedication and perseverance to build a global brand from a single acre is an inspiration to entrepreneurs of all persuasions. It is often romantic to believe that artisans are prodigies, but passion isn’t necessarily something you are born with. Passion, and its tight connection to craftsmanship, is something we learn and practice and practice and practice – until practice makes perfect! Even though Josh Hammond was born and raise in the Marlborough area, he went through a bit of a loop of studies before deciding that winemaking is something that he will dedicate his time and skills to. I was a touch surprised when I learned that he came from university background studying law and chemistry. Like many university scholars these days (even myself back in the day), our majors do not necessarily direct us towards a single path. As Josh recited his mini-life history to us, it became clear to me how he was the right man for the Villa Maria job. It is also incredibly awesome to learn how relatable he was. As we tasted through three flights of quality sauvignon blancs, pinot gris and pinot noirs; I can totally agree that Josh is putting his skills to good use. Perhaps our planet could have maybe appreciated Josh Hammond as an environmental lawyer (assuming, given the chemistry background), but I’d like to think we, as wine lovers, are in good shape with Josh Hammond the winemaker. I rarely get to speak to the winemakers themselves so it was refreshing to hear someone’s passion for wine from a different point of view, not a sommelier, but winemaker. They are just as passionate about wine as we are, but they are the artists behind our wine experiences. 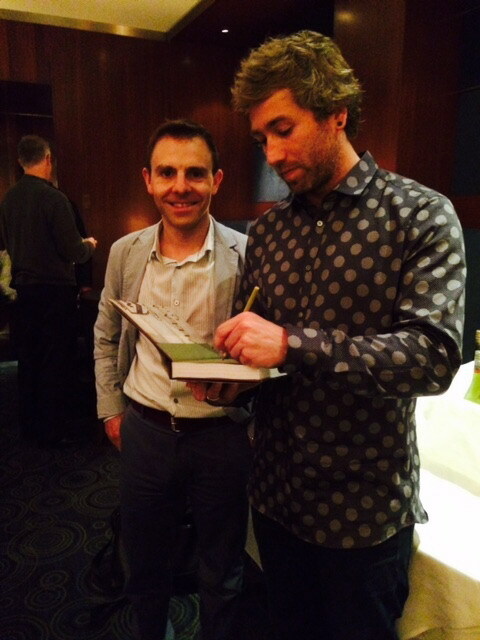 I was surprised and happy to see such a young vibrant winemaker traveling around and promoting Villa Maria wines. I find that sometimes the wine world leads itself towards a certain type of demographic so it was nice to see that a winery is embracing a young youthful image that reaches a different target audience. It was interesting to learn that the winery isn’t named after Mr. Fistonich’s wife. Also interesting that the winery was band from entering some of it’s wines at competitions in Australia because the wines kept winning. One of the first wineries in New Zealand to go all screwcaps. I was impressed with Villa Maria’s light sparkling Sauvignon Blanc wine that they are making using a new method and pumping in CO2. The wine was delicious. I really liked the sparkling Sauvignon Blanc with the soft cheese it brought out the creaminess in the cheese and worked well to contrast the sweetness in the wine.